“M & J” are like PB & J but BETTER! “M & J” who? “Marvin & Jessie”! 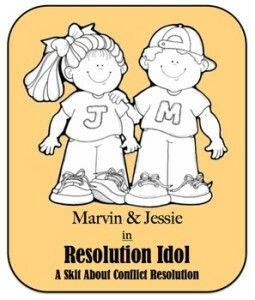 Marvin and Jessie are elementary aged children who face challenges similar to those facing children today. Marvin and Jessie have made a huge impact on many children’s lives by showing how they handle challenging situations and make positive choices. Marvin and Jessie are coming to schools around the country, in ASL! FUNDRAISING OPERATIONS: Fundraising will begin October 2016 – Please support Deaf schools around the country by sponsoring “Marvin & Jessie”! Sponsors from individuals and businesses are welcome! FILMING INFORMATION: Salt Lake City, Utah. Filming will commence in January 2017. PRELIMINARY FEEDBACK: After spending many hours soliciting feedback, inquiring of the need for such a program, and gathering information from schools across the country, the response received from such entities has been overwhelmingly positive! This will be an amazing production, that is sorely needed, for the Deaf and Hard of Hearing children! Please support this project! INFO: “Marvin & Jessie” is an educational film series focused on life skills. This series will be produced in ASL and include voice-over and captions.